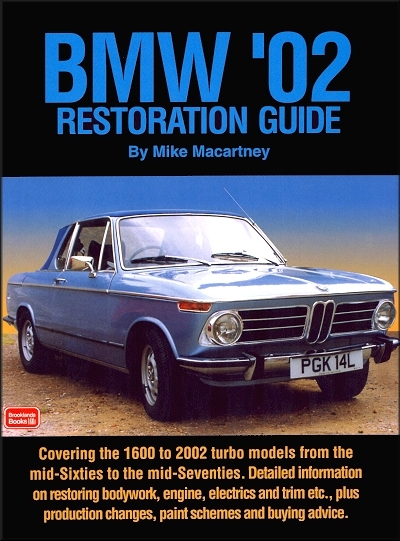 The BMW '02 Restoration Guide covers the 1600 to 2002 turbo models from 1966 through 1976. It provides detailed information on restoring body-work, chassis, engine, trim, and more. Plus production changes, color schemes, and history. Written for the owner who wishes to maintain his or her car in first class condition and to carry his own servicing and repairs. Comprehensive step-by-step instructions and illustrations are given on all dismantling, overhauling and assembling operations. Throughout the manual hints and tips are included which will be found to be invaluable. Ask a question about BMW '02 Restoration Guide: 1600 and 2002 Turbo 1966-1976.